Citibank, one of the big four banks in the U.S. and a major credit card issuer, has a wide range of Citi credit cards bonuses available to consumers, from students to small business owners and general consumers! They offer a diverse group of credit cards that offer a variety of benefits and rewards, 0% APRs on balance transfers and purchases, and low long-term APR Rates. Citi credit cards are currently available on the Visa, MasterCard and American Express card networks. If you plan to travel outside of the U.S. and you have an American Express co-branded, just remember that American Express credit cards are less commonly accepted in overseas than a Visa or Mastercard. Plan on carrying another card with you just in case. However, the list of places that are taking American Express are slowly growing. Below is our full list of all the Citi credit card bonuses and promotions you can earn, as well as some pointers about Citi. Citibank is one of the biggest credit card issuers worldwide, so it’s evident that we had to make a list such as this! Now, they do offer a lot of prominent credit card sign-up bonuses in the industry, so I recommend that you take a look into this list of things to know about Citi. Hopefully, you find it informative! There’a a strict application guideline for Citi. You can only apply for a Citi personal credit card every 8 days. You can only apply for a maximum of 2 Citi personal cards every 65 days. It doesn’t end there. You can only apply for a Citi business credit cards every 95 days. Because of this, you can’t apply for multiple Citi credit cards on the same day. You can get the sign up bonus more than once. Your Citi card account within that brand or family has to be closed for at least 24 months for you to apply and get the sign-up bonus again. There’s no limit on the amount of credit cards you hold with them. You can have as many Citi credit cards as they’ll approve you for, unlike with Chase or other credit card issuers. Check your credit card application status online. You can’t get multiple inquiries merged into one. This is due to the strict application rules listed above. Virtual credit card number are available. This is another layer of safety that has proven to be useful against theft. Say, you’re purchasing something online from a shady vendor or signing up for a free trial. You can use a one-time credit card number linked to your Citi account. Asking for a credit limit increase can result in a hard or soft credit pull. If you contact a representative about a credit limit increase that is instantly approved, it’s likely that a soft pull inquiry is placed. Though, if it takes a while for them to get it done, a hard pull has more likely taken place. You can ask them which credit pull it’ll result in before they do it. Distributing credit limits results in a hard pull. Both Citi credit cards need to have been opened for at least six months before they can even consider doing a reallocation. They seldom do, soft pull but it’s worth a call! 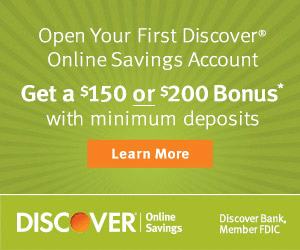 View targeted and pre-approved credit card offers online. 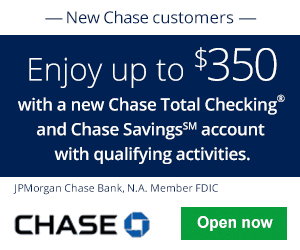 Citi regularly sends out sign-up bonuses that are more than the public bonuses. So, check these new promotions as regularly as possible because offers fluctuate often. If you do a product change, the 24-month closing period doesn’t start over. When you do a product change, your previous card will be claimed as closed. You’ll be able to get the bonus on your old card if you wish to apply again. However, you won’t get the sign-up bonus on your new card you’ve changed to unless it has been closed for at least 24 months. Citi offers nice spending bonuses if you ask. They regularly send out targeted spending bonuses. You can wait, or call the Citi reconsideration line and ask them if there are any on your account. If Citi denies you for a credit card, call for reconsideration. Citi may approve you after they ask some basic questions. Make sure you have a valid reason for wanting the card, for example, a unique feature that the card offers. In addition, know your credit score and report, as different cards require different scores. Sign-up bonuses can be matched. If you see a higher sign-up offer for the same card, chances are, you could be matched up if there hasn’t been too much time in between applications and when you make the request. Lost or stolen Citi credit cards will receive expedited shipping. Just call Citi and ask to speak to a representative to get expedited shipping on your replacement card. There shouldn’t be an additional fees. In addition, you may be able to request expedited shipping on a new card if you call in. Citi charges cash advance fees. 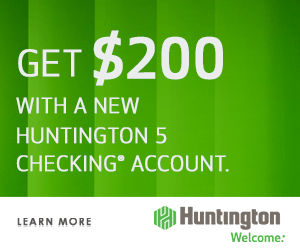 Be sure to set your cash advance limit to $0. Watch out when funding a bank account or purchasing American Express gift cards with Citi cards. Citi business credit cards aren’t released to personal credit bureaus. This is useful for keeping your credit report cleaner. Your annual fee can be refunded as long as you cancel your card within 30 days of annual fee posting. After that, Citi will refund it on a prorated basis. Cash advance charges with CitiBank. Be sure to set your cash advance limit to $0 and watch out when funding a bank account or purchasing a AmEx gift card with Citi Cards. Citi gives out the credit card number instantly for some cards. When you’re approved, you can use your card instantly online. 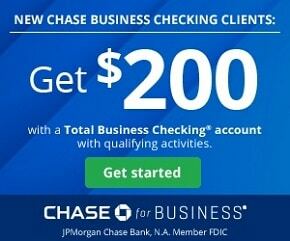 Ones that receive this benefit are AAdvantage and ATT cards. Closed Citi credit cards can be reinstated upon request briefly after being closed. If you’ve mistakenly closed a card, you can ask them to reopen it without a hard pull. If auto-pay is set up, Citi will adjust the it if you pay it partially or full beforehand. Didn’t find any Citi credit card bonuses you liked from this list? See our list of the best credit card promotions and their respective reviews to find the best one that suits your needs, here on BankCheckingSavings. In addition, if you’re interested in opening a new checking and/or savings account, you can find a collection of our best bank bonuses with some of our helpful guides listed on there if you need any additional information! Is der any roadshow for Citibank credit card in Nov.
Can’t seem to get a 0 % apr check offer?